I am an agent licensed to sell insurance through Bankers Life and Casualty Company. I am acting as an agent and the views expressed are my own and not that of Bankers Life. Bankers Life is the marketing brand of Bankers Life and Casualty Company, select policies sold by Colonial Penn Life Insurance Company and select policies sold in New York by Bankers Conseco Life Insurance Company (BCLIC). BCLIC is authorized to sell insurance in New York. Policies are subject to state availability. 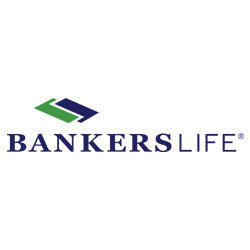 Bankers Life is a marketing brand of various subsidiaries of CNO Financial Group, Inc., including Bankers Life Securities, Inc., Bankers Life Advisory Services, Inc., Bankers Life and Casualty Company and select policies sold in New York by Bankers Conseco Life Insurance Company (BCLIC). BCLIC is authorized to sell insurance in New York. Non-affiliated insurance products are offered through Bankers Life Securities General Agency, Inc. (dba BL General Insurance Agency, Inc., AK, AL, CA, NV, PA). Securities and variable annuity products and services are offered by Bankers Life Securities, Inc. Member FINRA/SIPC, (dba BL Securities, Inc., AL, GA, IA, IL, MI, NV, PA). Advisory products and services are offered by Bankers Life Advisory Services, Inc. SEC Registered Investment Adviser (dba BL Advisory Services, Inc., AL, GA, IA, MT, NV, PA). Investments are: Not Guaranteed—Involve Risk—May Lose Value. Home Office: 111 East Wacker Drive, Suite 1900, Chicago, IL 60601 Bankers Life Securities Customer Call Center: (844) 553-9083.